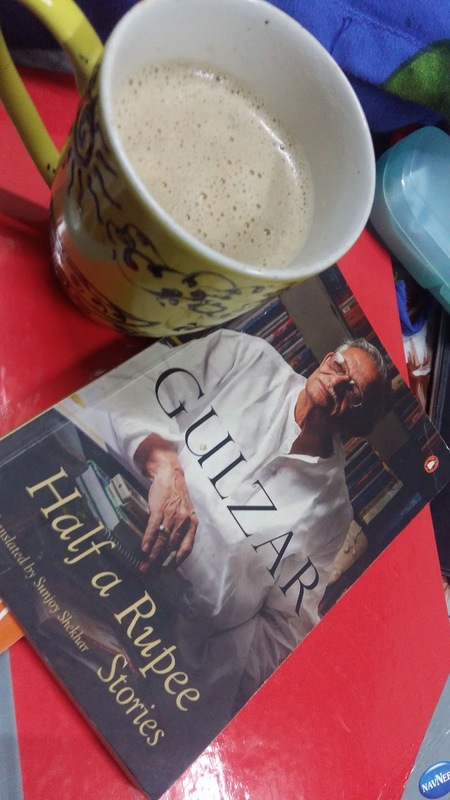 Half A Rupee stories, a realization of life and people living it-Gulzar's art of story telling. Some stories make you think; some leave you stunned and shocked to the core; some leave an aftertaste of the bitterness of things you didn't know- the plight of human emotions turned upside down to a point where everything appeared beyond understanding. Reading Half A Rupee stories has been living the feelings of comfort and discomfort not knowing sometimes what the next story was about to tell you. 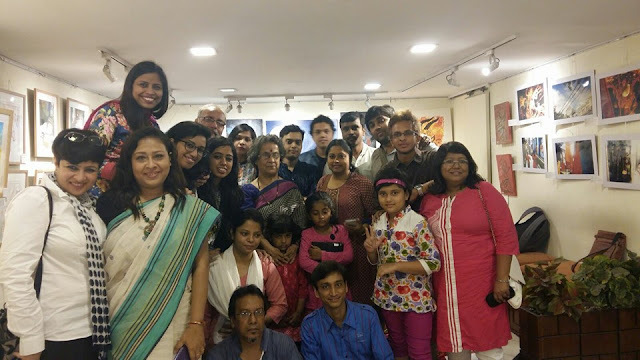 It is stories penned by Gulzar ji and translated by Sunjoy Shekhar, having had the privilege of meeting Gulzar ji in his poetry book launches in Kolkata and hearing live his way of narrating stories of his peers spreading across the dimensions of bollywood stars to people who shared a journey with him. To be honest I was left isolated into a whirlpool of emotions trying to link each story to his experiences and going through the frustration of not knowing who the people were in the stories. Some had ghastly situations of war and chaos, others had the chance of meeting breathing dreams. How is it possible to live through so many lives and live to write about it? I understood that only an in depth experience of life and death and things beyond understanding and dilutions, could one bring out such incredibly touching stories and Gulzar ji is alive to tell this to the world. Our knowledge of suffering and happiness is limited to those of our own but I somehow refused to believe that these Half A Rupee stories could be fictional. I believed in each and every character whose brutal truths and perspectives about existence and those who exist with us, I was living and experiencing, I could find a rising fighter. Each part was a phase literally carved in the heart- the faith and devotion of Pir sahib and Nayyar's mother; Sahir's unconditional sour and sweet relationship with Jaadu; I lived in the ghetto and suffocated in The Stench; I was still above the water trying to understand the madness with Damoo and The Rain in the slums; I remembered my journey of Elephanta caves and the ferry rides with my family but I didn't see the life of Maruti- the garbage picker and mehtar and his life outside the sea in Mumbai; I see the deaths of Dagroo, shendy and Hira on the footpaths; the search of Shonali for her roots in the uprooting grounds of Khasmir, I was there in the lanes and the smells feeling the cold blood of the dead and the merciless tyranny of the hopeful victims and reading each one was way more than I could have found about life. But life is mysterious and full of stories. Each story is like a glimpse short and brief episodes into the painful lives of people living on the edge of violence, suffering yet hopeful of living life itself. How effortlessly Gulzar narrates these stories because to me it felt so real and so true. Perhaps the beauty of a good story lies in the way it is told. Reading each story is like visiting a chapter of life from different angles. It isn't like the usual ones a thriller, a love story, a haunted or suspense but it is Gulzar's stories. It has his touch of storytelling, his poetic essence which creates that aftertaste and warmth of a beautiful reading experience. I was transported to that small space under the bed where in torch lights in the evenings I used to narrate stories to my siblings often and overtime the storyteller in me grew up but this book gave me those memories again. I hope stories keep inspiring us to become more aware of the impact our actions have on others lives, and giving us the strength to change things for the better.